Forget about riding shotgun. 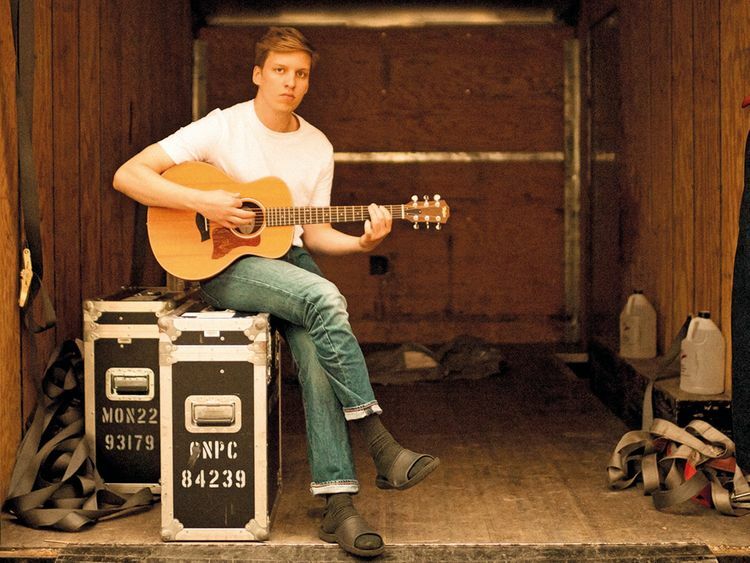 George Ezra is at the wheel of his own destiny, fresh off of three massive Brit Awards nominations — that’s for Best Album of the Year (‘Staying at Tamara’s’), Best Single of the Year (‘Shotgun’) and British Male Solo Artist. Now the 25-year-old bass-baritone crooner is gearing up to debut his sunny pop-folk stylings in the UAE, with a sold-out gig at Dubai World Trade Centre on January 22. Here are five things you should know about the rising pop star. Ezra was actually in Sweden, not Hungary, when inspiration hit for his breakout song; he had missed his train to Budapest due to a hangover. In 2013, ‘Budapest’ was the second single off of his debut album, Wanted on Voyage, and it peaked at No. 3 in the UK. Due to the track’s global popularity, Ezra made sure to pencil in a tour date in the city that inadvertently kicked-off his success. For a couple of years after turning 21, Ezra found himself experiencing an “acute feeling of worthlessness.” Speaking to The Guardian, he reflected on secluding himself in his dressing room and backstage during his first album cycle. “I was thinking: ‘I can stay in my little safe place in the dressing room, therefore I don’t have to confront anything, therefore it hasn’t happened’.” Now, Ezra continues to advocate for open dialogue and supports the mental health charity, Mind. ‘Don’t Matter Now’ (the lead single off of Ezra’s second album ‘Staying at Tamara’s’) peaked at No 66 in the UK, despite receiving positive reviews. This weighed heavy on the singer, who called a crisis meeting with his record label. It served as a wake-up call. “I don’t want to sound like the inspirational quote on the wall of a secondary school staff room, but ‘Don’t Matter Now’ failing was the best thing that could have happened to me. I realised how much I must have been taking it all for granted,” Ezra told The Guardian. Released in May last year, ‘Shotgun’ (also from ‘Staying at Tamara’s’) shot to No 1 on the UK Singles Chart, becoming Ezra’s first and only song to do so. (Budapest peaked at No 3, while Paradise went to No 2.) According to official UK chart data, the hit was the biggest song of the summer in 2018, beating out a tough competitor: Calvin Harris and Dua Lipa’s ‘One Kiss’. 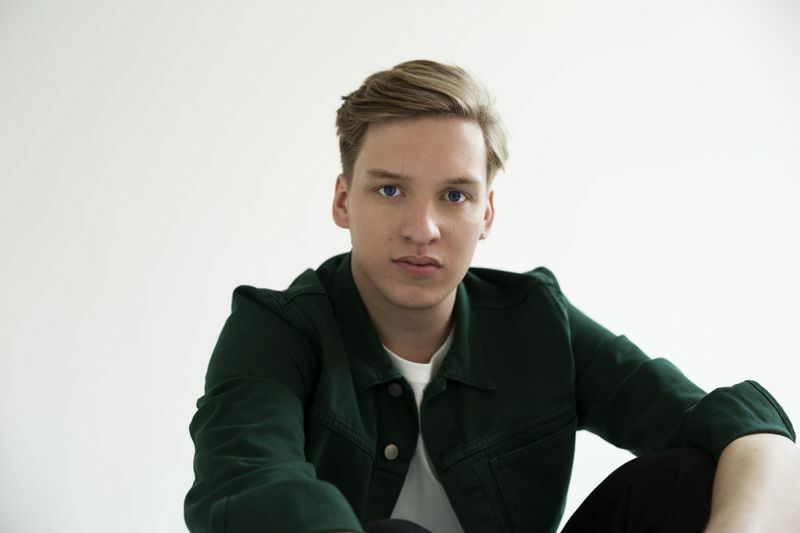 ‘George Ezra & Friends’ is a 45-minute show, where the singer interviews fellow musicians and industry pals, inspired by a wave of comedians interviewing other comedians. He launched the podcast in February of last year, inviting singer-songwriter Ed Sheeran as his first guest. Since, he’s interviewed the likes of Sam Smith, Elton John and Ellie Goulding. The show is now in its second series, and at time of writing, Ezra’s latest guest is Chic legend Nile Rodgers.